In the new work Pieces and Elements a group of performers negotiates the collective body in motion that can only function as a whole. This body with its different parts and multiple connections serves as a possible reflection of nature where each element is in relation to all the others in order for the whole to exist. Pieces and Elements deals with the fluid borderlines between a scientific, biological, cellular approach to the body and the one seeing the human body in relation to the cycle of nature and the five elements: water, wood, fire, earth and metal. 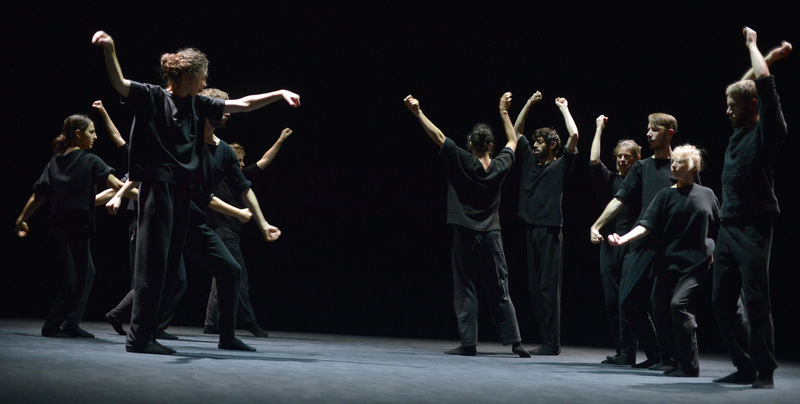 It places itself between a western and an eastern point of view, between visual arts and the performing arts, between installation and choreographic miniatures. 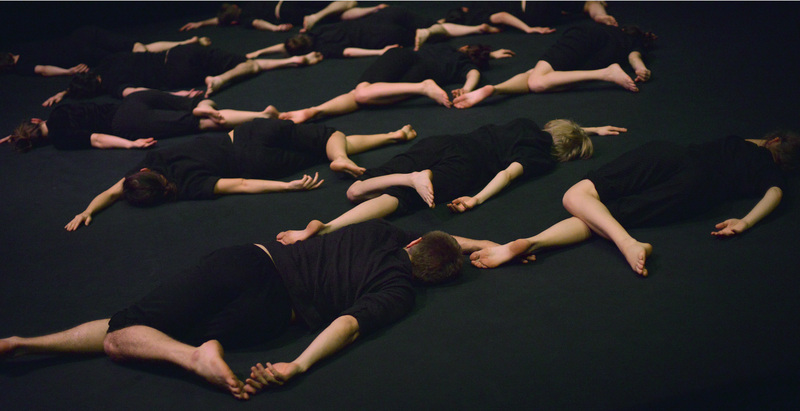 After Collective Jumps, the first part of the trilogy on collective bodies, which investigates the body as a site for forming community, Pieces and Elements considers the phases of change and nature as possible energetic means for becoming one: as body, as self or as a group. In her recently premiered work Solo for Lea, Schad deals with a single figure as a portrait. Pieces and Elements draws on that experience, and focuses on the collective body as cubistic landscape, which can be considered at once as a space of transformation and as the event itself. We are approaching an oscillation between organism, apparatus and hybrid matter, between experience and sensuality, between utopia and reality. Made possible by a long-term collaboration with Laurent Goldring. Supported by „Artists in Residence Programm der fabrik Potsdam“ and Wiesen55e.V.